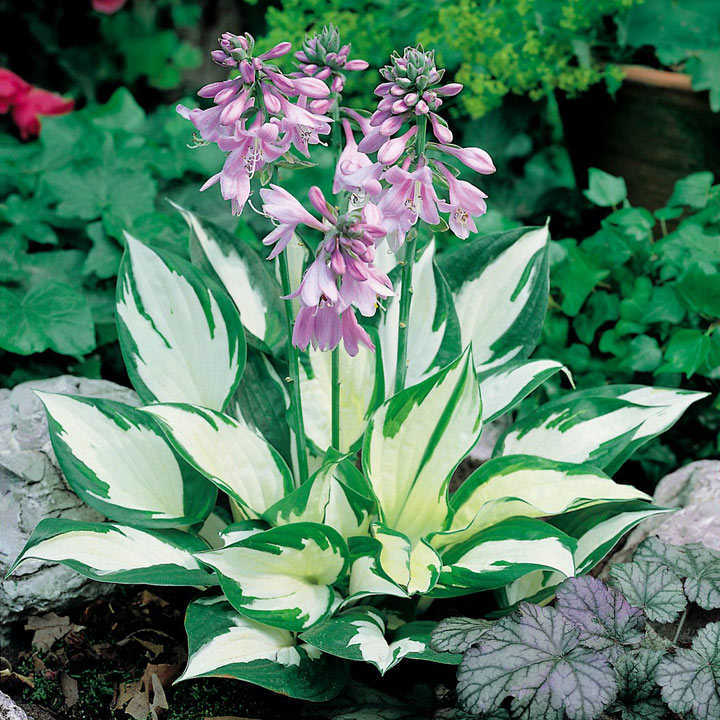 A beautifully vibrant, compact and dramatic hosta with twisty leaves edged in a deep green that really makes the white centre pop! An amazing contrast in colour that looks vibrant yet classic. 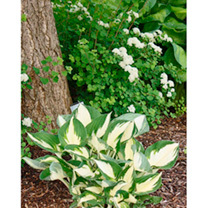 Lilac/blue trumpet-like flowers emerge from this gorgeous foliage from July- August. 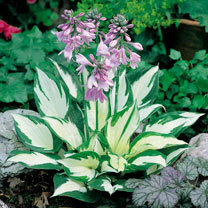 Hosta's love shade and this striking variety will certainly brighten up a dark corner in either pot or border. Flowers July-August. Height 50-60cm (20-24"); spread 90-100cm (3'-3'3"). HP - Hardy perennial.